The top news this week, other than the former FBI Director’s enthralling testimony, has undoubtedly been the U.S. Supreme Court’s ruling that 28 of North Carolina’s legislative districts are unconstitutionally racially gerrymandered. The local political battle that ensued in the day’s following the court’s ruling has been just as captivating, but like election law, North Carolinians need to focus on the future, according to at least one expert — that means shifting attention from Twitter to email and texting to phone calls. The issue of the state redrawing its unconstitutional maps is separate from the issue of whether there will be special elections this year, but one dictates the other and the clock is ticking on the possibility of elections this year. Gov. Roy Cooper has tried to force the legislature to start redrawing the unconstitutional districts right away but Republican leaders have said they won’t redraw anything until the court formally orders them to. The longer they drag out the fight, the better chance they won’t have to hold special elections. But, “the state will have to remedy the constitutional violation one way or another,” Charles said. That’s something that Common Cause NC and many others, including Republicans, championed for a long time. In fact, yesterday marked the six-year anniversary of the passage of House Bill 824, a bill to establish a nonpartisan system for drawing the state’s voting districts. The bill ultimately stalled in the Senate, but at the time was supported and voted for by dozens of Republican lawmakers including then-Speaker of the House Thom Tillis, along with Reps. Tim Moore (R-Cleveland) and David Lewis (R-Harnett). Now, an identical bill, HB200, is stalled in committee despite broad bipartisan support. 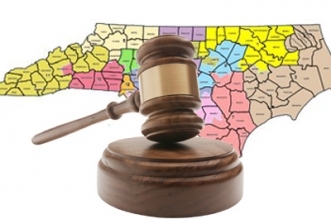 According to Common Cause, an April survey from Public Policy Polling found 80 percent of North Carolina voters are in favor of independent redistricting. More than 260 locally elected officials from 130 towns and cities across the state have signed a petition urging the legislature to pass nonpartisan redistricting, and over 100 North Carolina business owners have launched a coalition calling for fair voting maps. Charles said voters and courts have to be vigilant in making sure there is no racial gerrymandering going on or to limit political gerrymandering when it comes to the redistricting process. Given North Carolina’s history, it’s likely redistricting no matter what will lead to more litigation, but Charles said if the voters and courts don’t demand something different from legislators now, it could help stem the tide. 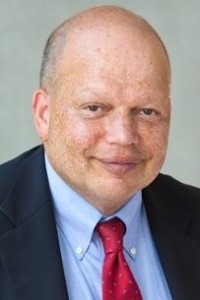 Professor Theodore Shaw, at the UNC School of Law, predicted that the District Court will have a lot to say about North Carolina’s remedial redistricting. The Director of UNC’s Center for Civil Rights added it’s a strong argument that the Supreme Court’s action this week immediately created a right that needs to be remedied. “There’s no reason to have an unconstitutional plan stay in place,” Shaw said.